Three happy WordPress bloggers will be getting their premium themes soon from Themefuse.com, thanks to the giveaway sponsored by Themefuse earlier. 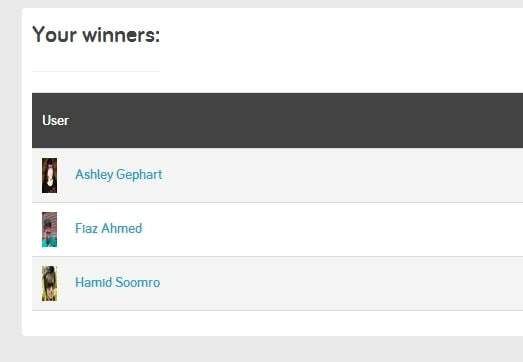 Without further ado, 3 winners have been selected by random and there they are. Congrats, guys. I’ve just sent you a notification email to get your details and the WordPress theme that you pick. Happy blogging!